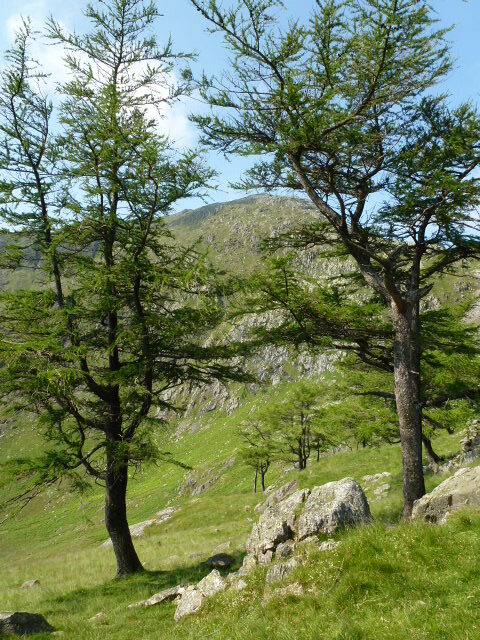 Left the car at Tilberthwaite (150 m) and started walking at 10. 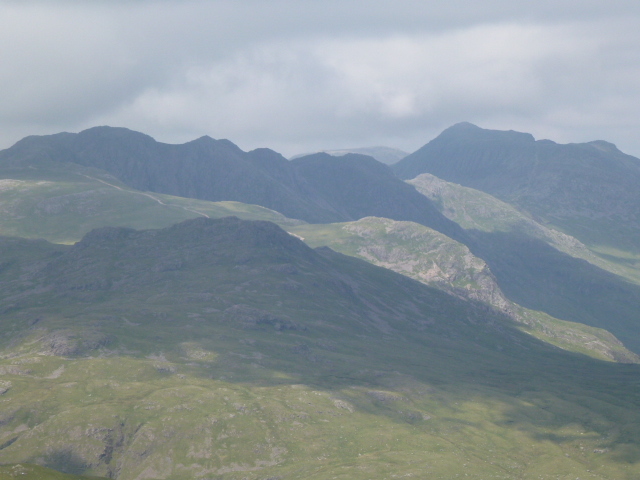 The plan was to climb Wetherlam, Swirl How, Great Carrs, Grey Friar and Brim Fell. It’s a very pretty walk along the side of the gill, this time I took the shorter route by going down to the beck and crossing over on the footbridge and up the other side. I managed to keep up a reasonable pace all day but within half an hour I was soaked through and panting as it was incredibly humid. 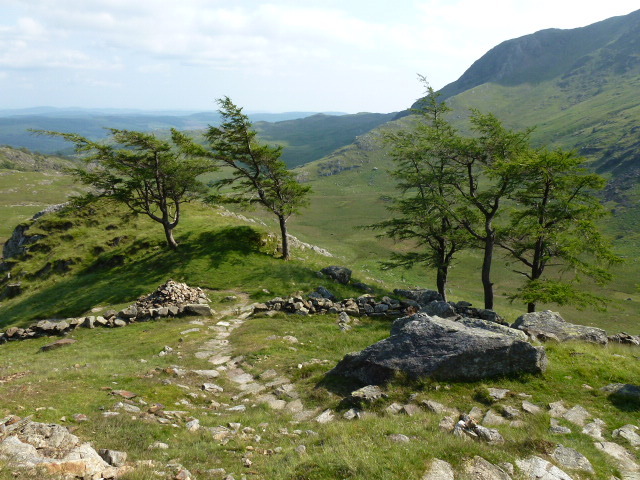 My new levels of fitness certainly paid off as the day involved a lot of ascent and stamina. I passed where Carol and I had lunched the week before after 40 minutes. 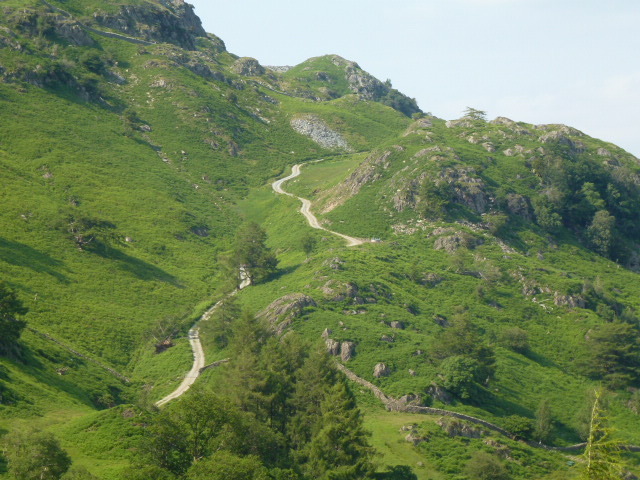 The path then goes up to the ridge overlooking Langdale, this is a pretty route and passes a stand of pines which is a haven of cool loveliness. I greased up to counteract the sun but then walked through a section with lots of horse flies. Horrible, the humidity must have brought them all out but at least they didn’t bite me. Then it was time to start the serious climb which was quite scrambly, although nothing like the north face of Tryfan as only short but still good fun. I reached the summit at 12 and stopped to eat a piece of flapjack. 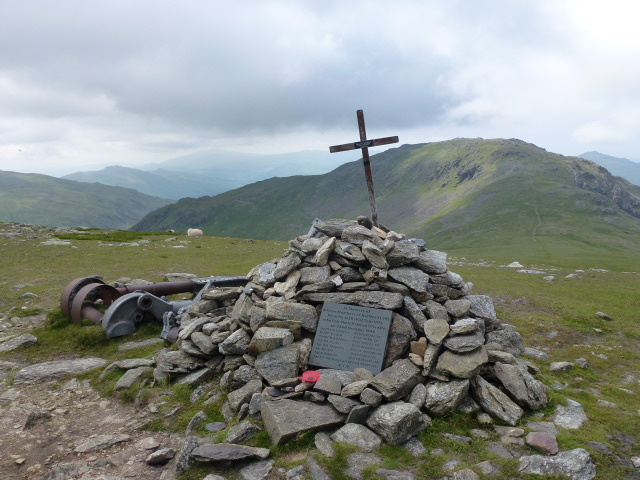 The summit is at 762 m.
Then on to Swirl How, this meant descending to Swirl Hause at 620 m and ascending Prison Band to reach the summit at 790 m. I stopped here to have my pork pie and then it was a quick whizz over to Great Carrs at 780 m. On the way across there is the wreck of a Halifax bomber which crashed here in 1944, killing all 8 on board. There isn’t much wreckage to be seen, but apparently there is more that got chucked over the side of the mountain that’s still on the hill. It was a little cooler over this side which was very welcome. A semi naked runner and his dog passed me. He looked very hot and very pink just in his knickers. I saw a lot of very pink people and one man who asked me if he was nearly there yet! I also met a couple I’d been leapfrogging with for about the 4th time, we had a little chat and then it was time to return as I was too hot to face doing any more ascents than necessary. Back to Swirl How, back down the Prison Band, passing a poor dog who looked like he’d had enough, and then back up to Wetherlam. 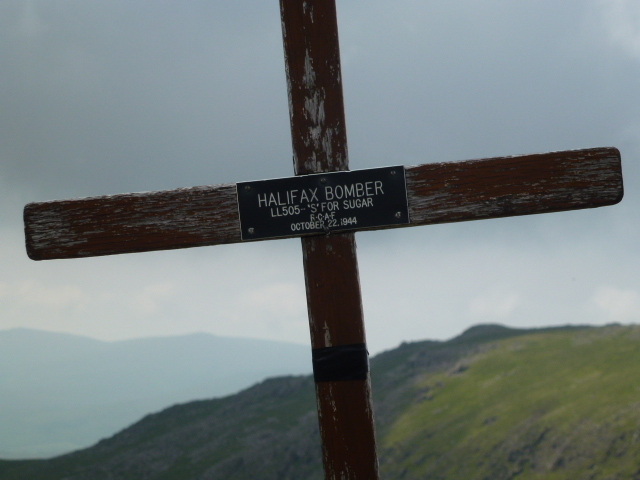 I’d been slightly nervous about descending the Wetherlam scramble but I’ve no idea why as it was just a walk, with only a couple of places where I had to lever myself down. I got back down quickly to the car before 5. I was so hot, I got a bottle of water I wasn’t planning to drink and tipped it over my head, neck and back. Instant relief! I climbed about 980 m in total which given the heat of the day is pretty damn good and I know I wouldn’t have been able to do that without the running regime, I was tired but my legs have been fine today. I got home a bit late as traffic was slow on the motorway.